Posted July 17, 2015 by Kirk Johnson & filed under Uncategorized. 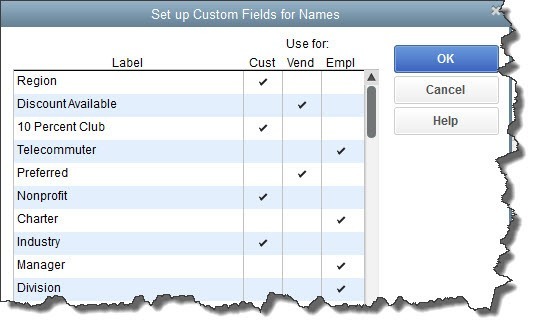 As you did with the earlier custom fields, enter a word or phrase under Label, and then click in the Use column. After you’ve entered up to five fields, click OK.